On Tuesday, Jan. 15, the 20-7 Eagles look to continue their three-game winning streak in their first district road game, against the 8-12 Krum Bobcats. Seniors Max Valentino and Brandon White are preparing to continue their dominance over below .500 teams (4-0). However, it’s a different story for the Bobcats: against .500+ teams the Bobcats are a staggering 2-11. In the Eagles’ last game, they were able to show complete dominance over the Porcupines, 77-32. Valentino’s plays held a key factor in the Eagle win. He was able to put up 17 points and made his first in-game dunk. In the previous game for the Bobcats, they continued their slump and lost their third straight game to the Bridgeport Bulls 45-32, they look to end that on Krum’s home court. After a previous matchup during last season ending in a victory after four overtime periods, this game was dominated by the Eagles. The team led through the entire game, winning 59-42. They were able to get the win having the team’s trio of seniors led the way, being a major focal point of the offense. White led the team with 13 points. Fellow seniors Max Valentino, and Hunter Lavelle, each had 11 points. The Krum Bobcats put up a good fight at the end, having two players, Abe Dilion and Carter Marquis, score 13 points each. 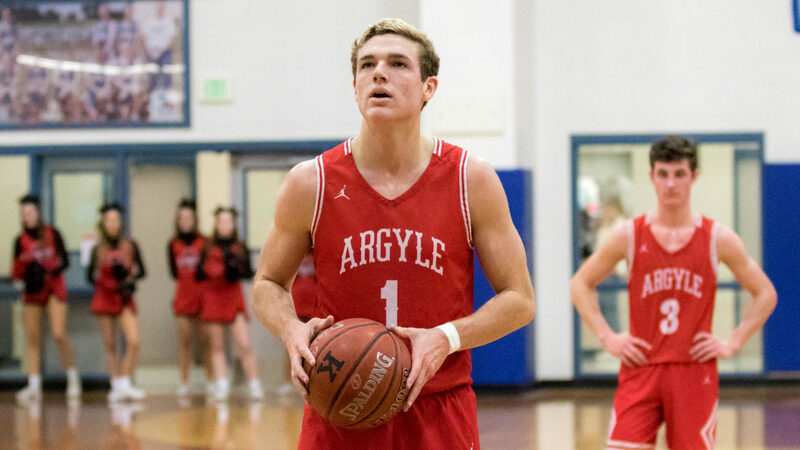 The Argyle Eagles will get a rematch in the Whataburger Tournament against the 24-3 Decatur Eagles at Argyle High School on Friday, Jan. 18, at 8:00 P.M.